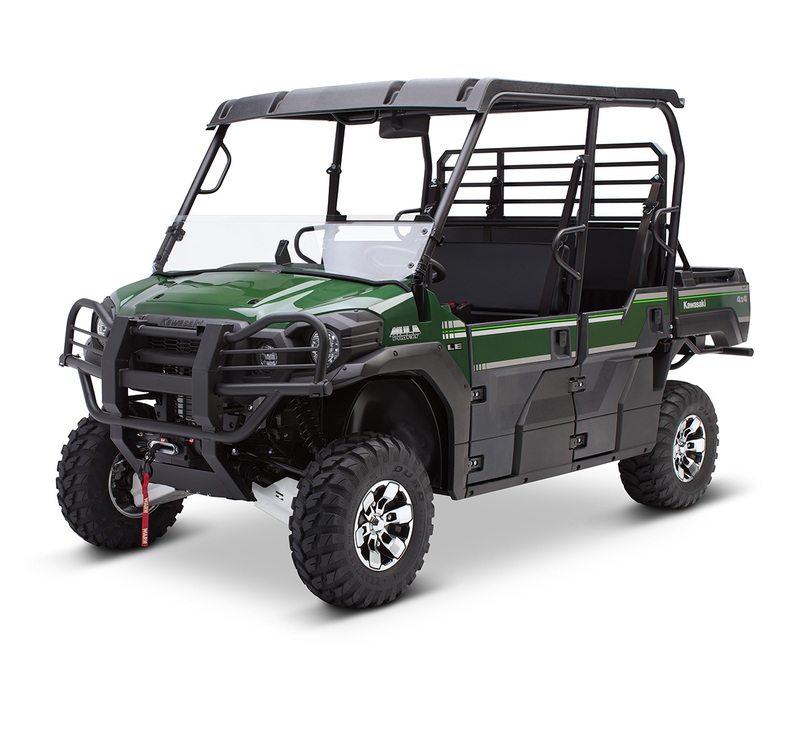 KAWASAKI CARES: Read Owner's Manual and all on-product warnings. Always wear protective gear appropriate for the use of this vehicle. Never operate under the influence of drugs or alcohol. Protect the environment. 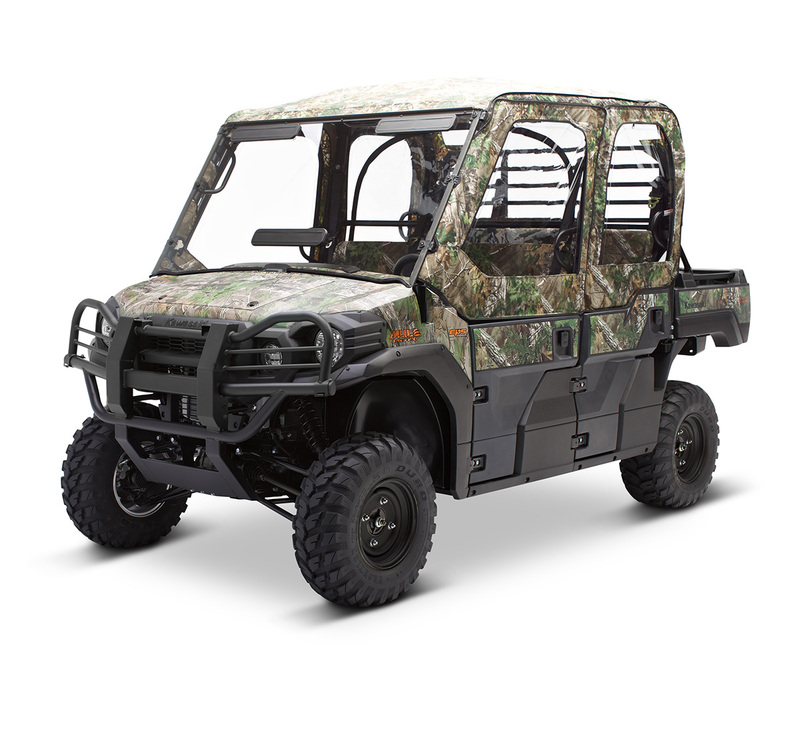 The Kawasaki MULE™ side x side is an off- highway vehicle only, and is not designed, equipped or manufactured for use on public streets, roads or highways. Obey the laws and regulations that control the use of your vehicle. 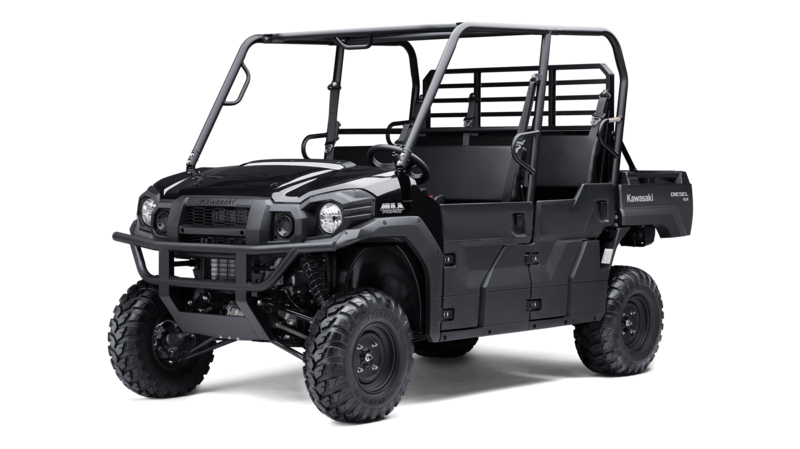 ©2019 Kawasaki Motors Corp., U.S.A.
Full-size, high capacity, three- to six-passenger side x side featuring a TRANS CAB™ system. 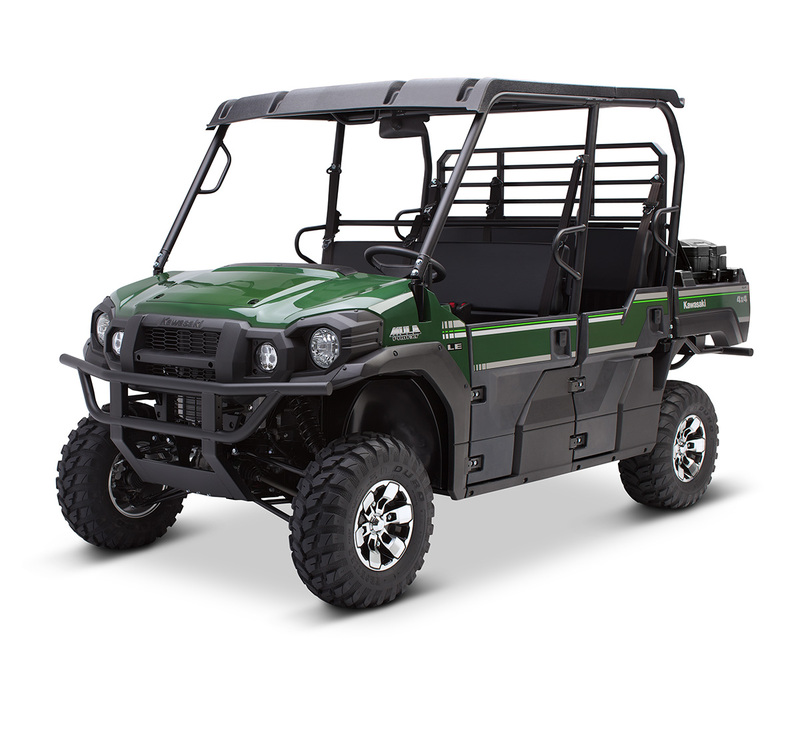 Full-size, diesel-powered, high capacity, three- to six-passenger side x side featuring a TRANS CAB™ system.